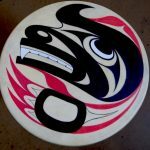 In this series, Louie Gong, Eighth Generation founder and Seattle Nooksack artist, explains “native inspired” doesn’t mean a native artist crafted the piece. He also shares his story about how he got involved in a project to enliven a local transitional shelter with genuine native art. The goal was to inspire change in the lives of the local people transitioning from homelessness to housingl.